Some people love crisp cookies and some like them soft and chewy. I love a good crisp shortbread type of cookie, but when it comes to chocolate chip cookies, soft and chewy cookies are what I like. Set and slightly browned around the edges, but soft in the middle. That is the perfect chocolate chip cookie to me. This recipe is just that. It is slightly crisp around the edge, but soft and chewy in the middle. This recipe is adapted from a cookie recipe I found in the Martha Stewart Cookie Cookbook. 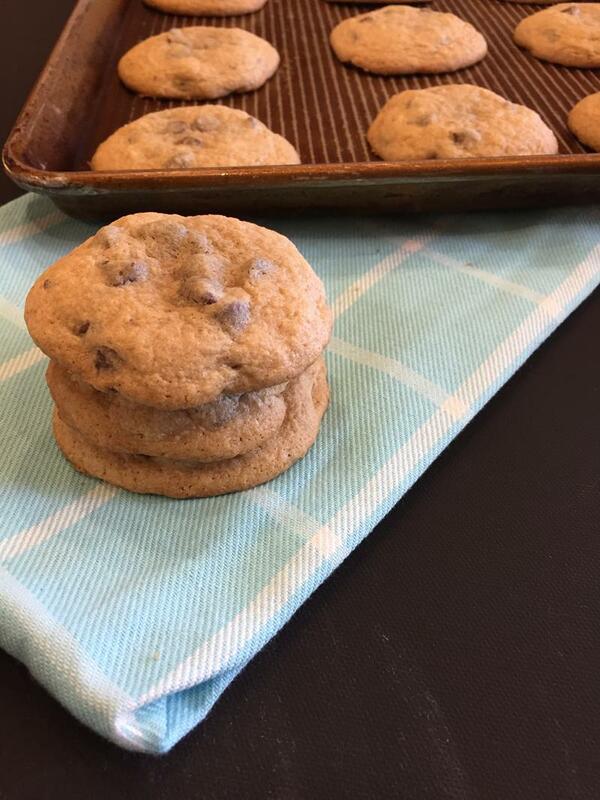 If you love cookies and don’t have the Martha Stewart Cookie Cookbook, you need it. It is one of my favorite cookbooks for cookie recipes and I have been using it for year. I have now adapted many of them to gluten free. 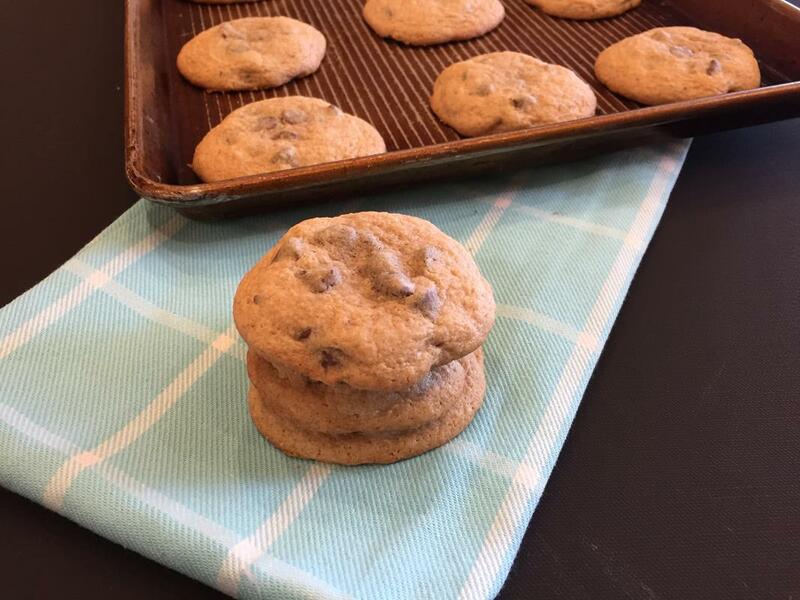 This recipe has become one of my family’s favorite chocolate chip cookies. We make them all the time. They work great the regular way, but if you are gluten free they work well with Bob’s Red Mill 1 to 1 gf flour. 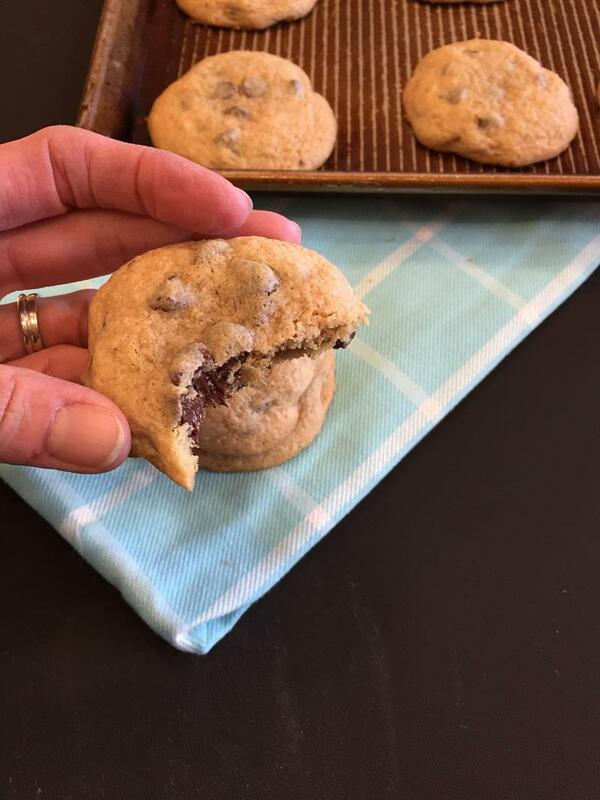 You can also change up the chocolate chips for different versions. We love using dark chocolate, white chocolate, or a combination of chips. In a small bowl, whisk together the flour, salt, and baking soda and set aside. In a mixing bowl combine the butter and sugar. Beat on medium speed until light and fluffy. Add vanilla and eggs. Beat until well mixed, about 1 minute. Drop heaping tablespoon-size balls of dough about 2 inches apart on baking sheets. Bake until cookies are golden around the edges, but still soft in the center, 8 to 10 minutes. Remove from oven, and let cool on baking sheet 1 to 2 minutes. Transfer to a wire rack, and cool completely.